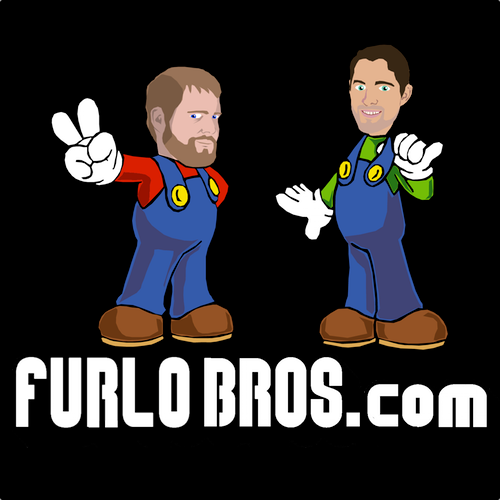 Back in December I shared that my brother and I started a tech podcast called Furlo Bros. We get together once a week, on Sunday at 8pm, to discuss the tech news. I have the business angle, and has the engineer angle, and we share the brotherly love. We just finished recording our 38th show (36 weekly, 2 specials), and I've learned a couple things about building a podcast. In some sense, this is true. It's one of the magical things about the Internet: if you create something valuable, people find it and share it with others. That's how Google grew, how Facebook spread, and why Instagram got bought for $1 Billion. None of them spent money on "traditional" advertising (OK. OK. Google eventually did, but only after it was huge). The only "advertising" I've done is post each shows on popular social sites: Facebook, Twitter, Digg, Pinterest, StumbleUpon, Delicious, and Google+. We've seen consistent growth each week. We're not "huge" yet, but we'll get there. I realize I could do more in these spaces, but I honestly don't have the time. I would love to interact with people more and post stories more regularly with commentary. Time seems to be my limiting factor. Having said that, building something valuable is NOT easy. Even in the age of Wordpress where anyone can start a blog, it requires a lot of work. We have 15 plug-ins working to create a seemingly simple website. Most are designed to speed up the site, which is still too slow for my tastes, but we'll get there. We also played around with a bunch of recording options before landing on our current favorite. We're now to a point where we can record everything in real time (No more hour-long sessions to mash it all together. Yeah!). In order to accomplish that, I spent an entire weekend (no joke - like 15 hours) playing with different software to make it work. Our current solution requires 5 different programs. I'm not sure what we'll do when I travel. Much like cell phones, we all get distracted by the up front costs required to get set up, and then only realize later that it's the monthly recurring costs that require the most from us. The same is true of podcasting. To fill up a 2 hour show I come up with about half the content. To do that, I skim 1,000 - 2,000 articles each week. I actually read 30-50 articles. I bookmark 10, and dive deep into a couple, only mentioning the others. It's a lot of work distilling down to the what I think is the top 1% of tech news that week! Before starting the podcast, I used to skim about 1,000 articles each week because I enjoyed it, but there were some weeks that I could "take off" because I was busy. That really isn't an option any more. I've learned how to cheat on those weeks by finding a couple sources that cover the top news of the week, but even then it's still work. So those are my thoughts on building a podcast so far. We're just getting started, and I'm really enjoying the process. I'm sure I'll have more thoughts in the future, but that's enough for now. PS. I still think our logo is beyond awesome.